Yesterday, I started this year's dethatching in my yard, with the Thatcherizer and Hi-Vac walk-behind mower. I bought the Thatcherizer, used, for $25 from a local Snapper dealer, in the mid-90's. Shortly before, I had found the white-handle 1987 Series 5 in the picture. It was a no-start curbside classic. 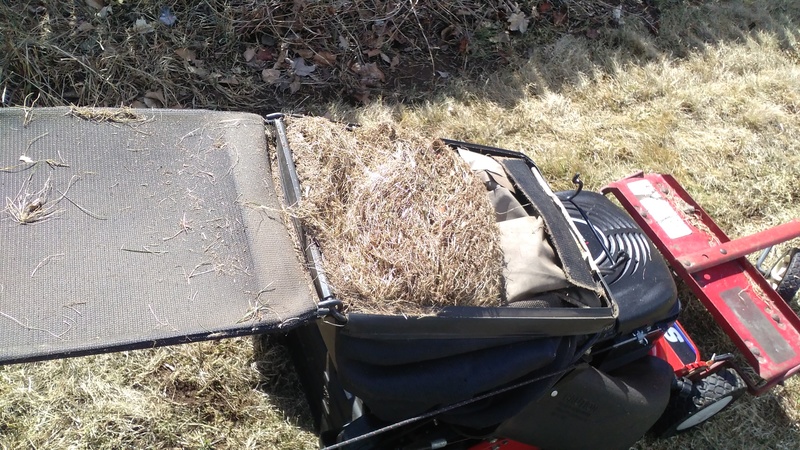 The problem with the Series 5 is it is a push mower, and I dethatched with it for around 20 years , but enough is enough. Last year, I found the newer one in the pic, on Craig's List. It is a Series 19 from 2007, and it is in very good condition. The other pic shows the contents of the bag, after walking around 150 linear feet. Mark / Ohio and wh55 like this. I do like those Thatcherizer attachments. I think I found mine for $5 at the thrift store. I also used to have one that was mint-in-box (not assembled) that I sold last summer (I asked myself why did I need 2?). I use a pull-type thatcher on the back of the riding mower, but have a section along the street that is too narrow. The Snapper and Thatcherizer make quick work of that section of the yard. I'll need to be doing that again here soon...when all the snow finally melts and the ground thaws a bit. Been several years since I last done mine and should do it. 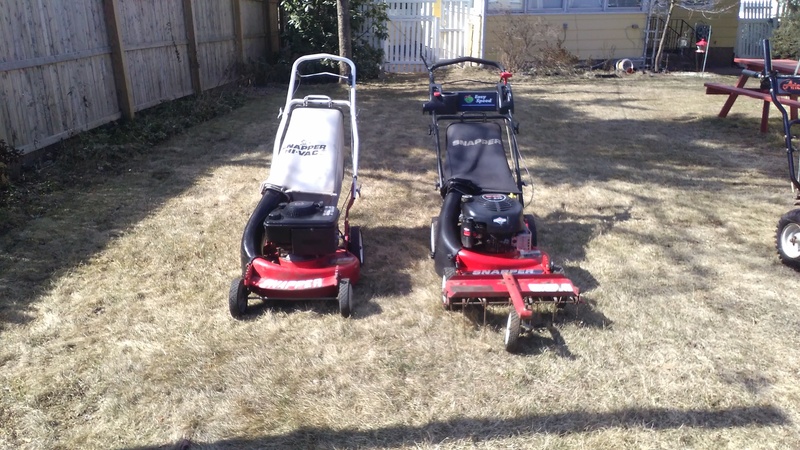 I use the LT150 with a pull behind and then use a pull behind sweeper to pick it up. Surprising how much dead grass is laying down in there. You would think it would just rot up over winter. Last year, I had to replace the tines in that Thatcherizer, and fortunately, I could still buy parts for it.